The cost of a cremation does vary considerably depending on where you live. In states like Arizona, California, Colorado, Florida, Nevada, Oregon, Texas and Washington, the cremation market is very competitive and the cremation costs are lower. The lowest cost cremations we have found are in Las Vegas, Miami, Portland and Seattle where a direct cremation can be arranged for under $500 complete. If you live in states like; Indiana, Kentucky, Louisiana, New Hampshire or Virginia, you will find that that the cost of a cremation can be 2 or 3 times that figure. It is important to note that these cremation costs are from providers offering affordable cremation options. 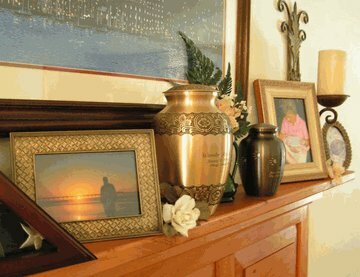 There are many traditional funeral homes who are charging upwards of $3000 for a direct cremation. The DFS Memorials network is a selection of family owned funeral homes and cremation providers who understand that many people today believe that some traditional funeral homes are charging too much for funeral services, and so they are offering these families a choice. That choice is driving down the cost of a funeral considerably.